Every seller wants two things: to sell their home quickly and for the best price. What if there was an app for that? Introducing CBx! Well, now there is. With the CBx app, Coldwell Banker agents can target the most likely buyers for your property and get results fast.This exclusive story-telling listing tool exclusive tool helps agents and sellers work together to quantify features of a property to estimate the best market price and identify the most likely buyers. 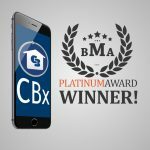 When selling your home it’s no secret that finding an experienced real estate professional is the smartest first step, but now CBx makes agents even more valuable, giving them a tool that visualizes buyer and market information like never before! By marrying big data with the expertise of Coldwell Banker real estate professional. Not only does it make for a better listing experience, it changes the game completely. CBx, pulls a variety of market data from public and private sources, including Onboard Informatics. Powered with the insights from this big data, your Coldwell Banker agent can utilize the application to not only you price your home, but also identify potential buyers and intelligently craft a strategy to target them. CBx is interactive and easy to use with custom features, heat maps, and a tool that allows agents to modify a search based on neighborhood details and amenities. Through this application, your Coldwell Banker agent can educate you on important things like where current home buyers are moving, the type of buyer most likely to come into the neighborhood, the estimated value of your home, and the demographic makeup of who is most likely to purchase their home. 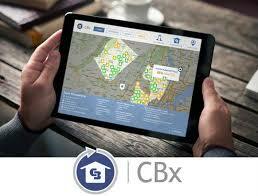 Armed with a tool like CBx, why would you go to any other real estate brokerage? Select Coldwell Banker Select Real Estate to sell your property. Your Life, Your Home, Our Business!